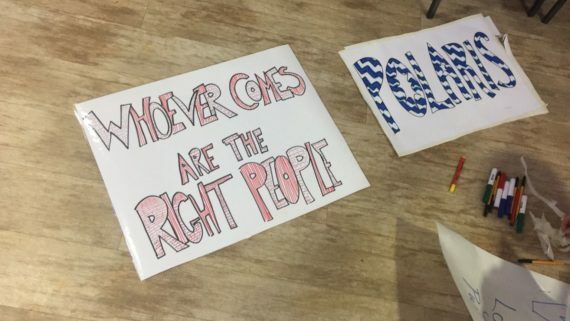 A group of artists in Bristol has coordinated a united front in the face of an Arts Council England visual arts review in which they feel they weren't offered an equal seat at the table. They outline their intervention in a recent public consultation event while proposing a new approach for the city's art ecology. 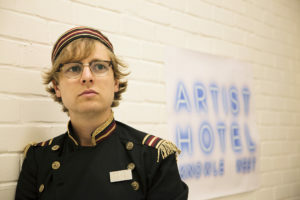 When Arts Council England dropped Arnolfini and Situations from its 2018-22 National Portfolio earlier this year, it announced that £3.34m – or at least, up to £3.34m – was ringfenced for investment in Bristol’s visual arts. A review was called. Two cultural heavyweights (read: white male directors of institutions), James Lingwood from Artangel and Godfrey Worsdale from the Henry Moore Foundation, were appointed to ‘lead’, and conversations began behind closed doors. Then, as is common in cases where lip service to broader consultation is necessary, a public gathering was called. At last, artists were allowed at the table – but only if they shared it with museum directors, curators, producers and anyone else with a passing interest, really. 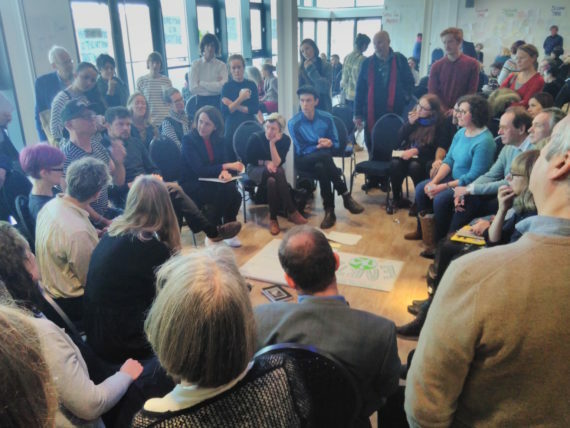 The format adopted, predictably, was Open Space Technology, which aims to generate discussion from the interests in the room, rather than a predetermined schedule. This falls a little flat when the barely hidden agenda is “How should we invest this money?”, reinforced by an awkward introduction in which the organisers refused to give more information about the review process itself. 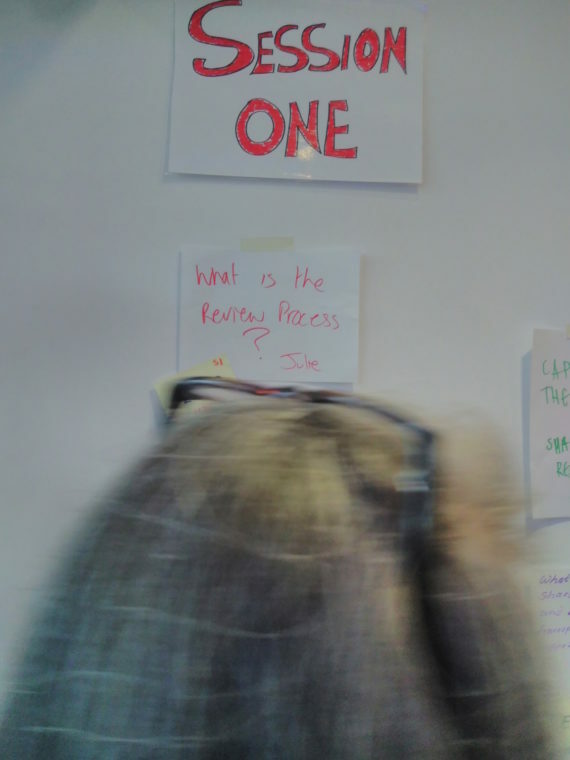 In an attempt to provide clarity, one artist proposed an opening session to answer the question, ‘What is the review process?’ Here, it was revealed that key stakeholders (ie. organisations) had been consulted since September. Quelle surprise! Open Space is draped in pseudo-accessibility and positive affirmation: mantras like ‘Be prepared to be surprised!’, ‘Whatever happens is the only thing that could have!’, and ‘Whoever comes are the right people!’ littered the words and walls of the event. But these principles become dogmatic when there’s a distinct lack of diversity in the room, little provision for disabled or even introverted participants, and when many artists can’t commit to all or even part of the day because of precarious work schedules. Open Space isn’t a neutral or affirmative technology: it’s a way of organising conversation. And, like all forms of organisation, it can also dilute dissent and reinforce existing power dynamics. It was with a certain guerrilla mentality then, that as artists we entered such an event. Frustrated by the lack of transparency in the review process, and by the endemic exclusion of artists from decisions about policy and funding which fundamentally affect our lives, we swiftly formed a collective resistance. A loose and growing group of artists, without a name but with a common message, we sought to disrupt and rearrange the coordinates of the public consultation – both within the live event and through its digital footprint. Throughout the day, we tweeted statistics, concerns, fears and demands for consideration by the review. Using #wedontneedgatekeepers, the volume, strength and intensity of these previously unheard voices quickly overtook other, generally appeasing posts using the official hashtag #brisvisarts. #wedontneedgatekeepers even became an entity in the live event, provoking conversation and consternation in several sessions. Online, institutional voices were notable in their absence during the day, demonstrating their widespread refusal to engage in open discussion with artists on a level playing field. To counter this, we approached the event as an opportunity to foster wider dialogue and express the concerns of artists as open questions for the city as a whole. 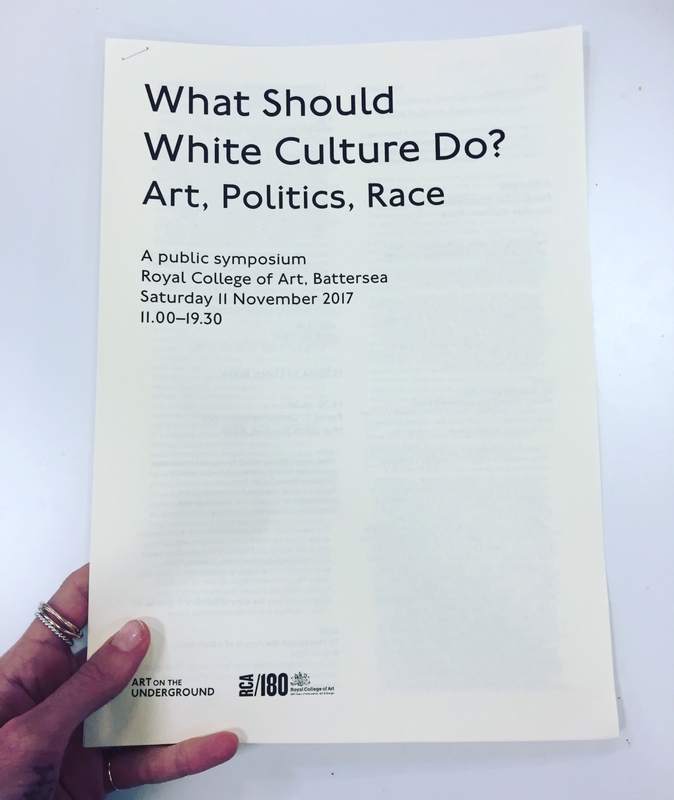 Our sessions included discussions on the need to diversify curatorial practice in the city; the value of independent artist-led activity; artist-led approaches to urban planning, to think and work beyond gentrification. And we dared to ask what an experimental and transparent redistribution of funding would look like. We also coordinated our efforts to ensure that artists were present in every discussion, and in an early session we asked the group to declare whether or not they were being paid to attend, putting income inequality (based on a show of hands, 40% paid / 60% unpaid) at the heart of the agenda. Our reorganisation of the event’s agenda created productive friction. A point of contention throughout was a structural complacency about the (un)sustainability of artistic practice and artist-led endeavours. At least two institutional directors commented that burn-out was perfectly normal and to be expected, their words reflecting a sector-wide disregard of artists’ welfare. 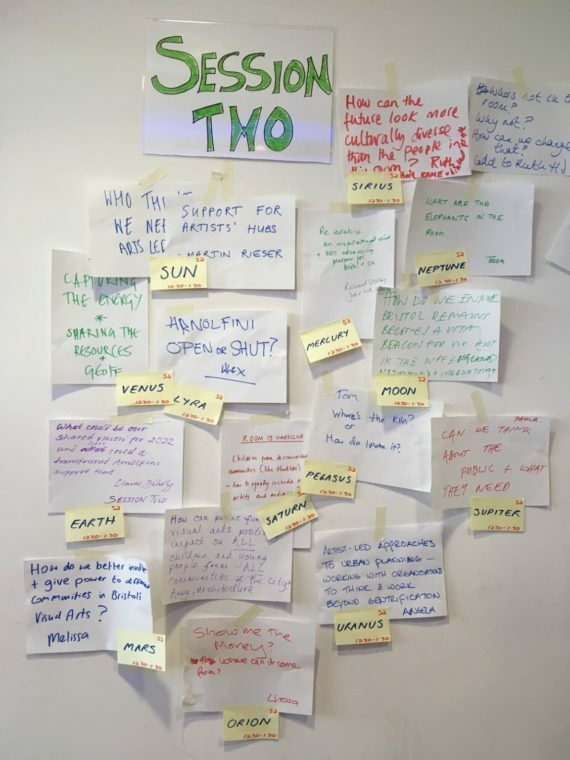 The discomfort expressed at our intervention also revealed a deep-rooted poverty of imagination in considering how new institutional models might be developed or funding structures could be radically reorganised to support artists and our work appropriately. The event is over, and session notes have been written up to be shared by ACE this week. But we are still unclear whether or not artists will have a meaningful seat at the table. Therefore, we are working collectively on a proposal for how Bristol’s arts ecology could be different. 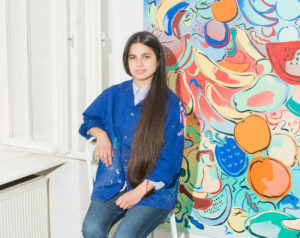 It goes without saying that this work should be remunerated, and artists – without whom, there would be no art scene, no institutions, no audience – should be centre stage.